Tattoos: He has several tattoos including, "Ni Vida Loca" on his right forearm; a dagger and "BF" on his lower left arm; and "Marlene" on his left bicep. 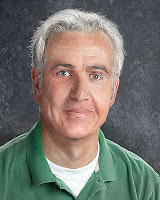 Location information: Finley escaped from the Kissimmee, Fla. Work Release Center in 1979. Last Known Locations: Southwest , FL. Finley lived in Southwest Florida before his arrest. He has an extensive criminal history that includes arrests in Oklahoma, Louisiana, California, Colorado and Michigan. Robert Finley escaped from the Kissimmee Work Release Center in Florida on July 8,1979 and he's been hiding from police ever since. 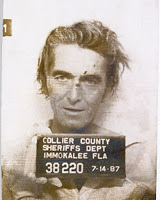 On March 2, 1974 Finley used a knife to slit another inmate's throat at Brown's Labor Camp in Hardee County, Fla. He was serving a 10-year sentence for that crime when he escaped from Kissimmee. Cops say Finley was arrested in Florida several times after his escape for disorderly intoxication and resisting arrest, but used the alias Ray Lynn Burris. At the time, police didn't have the technology to electronically match his fingerprints and link the two identities. Special Agent in Charge Jim Madden. Finley is known to work as a laborer and migrant worker. He has an extensive criminal history that includes arrests in Oklahoma, Louisiana, California, Colorado and Michigan. Thoughts? Finley was a web-exclusive case on AMW's old website. While it seems initially Finley hid in plain sight, I have to wonder if he's alive anymore based on that 1987 photo, where he did not look like he was aging well, probably due to his alcoholism. I can't find Finley in Florida's wanted persons search website, although considering I haven't found any recent articles online, I feel it is reasonably safe to assume that he is still technically at large as of this update (7/27/2018). In my opinion, probably deceased by now, but still technically wanted.